The very first dental care may have taken place when cavemen used rocks to knock out bothersome teeth. However, the first official mention of dentistry is in a Sumerian text dating back to 5000 BC. As time has passed, more references to the field of dental care and more refinements to the treatments and tools have occurred. Taking care of your teeth wasn’t always as simple as it is today. Years ago, people just used sticks until the Chinese developed the first toothbrush with bristles. Then, in the 1600s, Europeans adopted the bristled toothbrush. Electric toothbrushes were originally invented and marketed in 1880 but weren’t really accepted in the United States until a cordless model was introduced in the 1960s. And then there is toothpaste. It began as a substance that included ground shells, dried plants, and honey. Other ingredients that were sometimes part of the formulas were rabbit heads, lizard livers, and urine. Toothpaste as we know it today first emerged in the 1800s with new and improved formulas regularly introduced to consumers. At Dakota Dental, we understand that dental care trends and tools continue to evolve everyday. This is why we are so committed to continuing education so our dentists for kids and adults can continue to provide the best dental services possible. 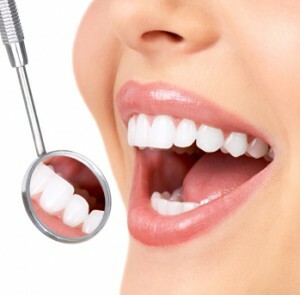 From gum disease treatment to wisdom teeth removal to cavity filling, Dakota Dental Apple Valley dentistry is dedicated to providing distinctive dentistry in a comfortable environment. Learn more about Dakota Dental and the dental services provided by contacting the office. The Dakota Dental dentistry services team looks forward to introducing you to a modern, different kind of dentistry.